Can I use a Coupon on a Subscription? 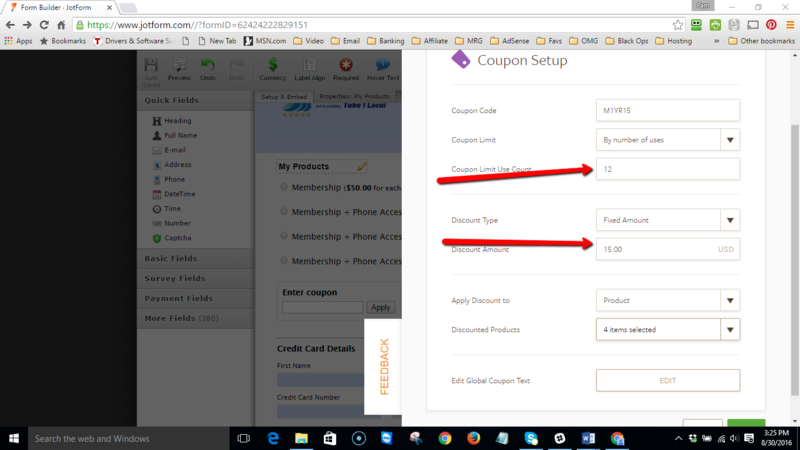 I have attached a screenshot of a subscription form I am working on along with a screenshot of a coupon setup I want to use with the subscription. Can I use this coupon on this subscription and will it automatically discount the subscription for 12 months? I set the # of uses for the coupon at 12. The subscription will increase by $15 after the first year and I am trying to automate the process so everything is handled on the front end. The 'Coupon Limit Use Count' is used in terms of max redemptions (how many times it can be used in total by different users), so it will not work in your case. 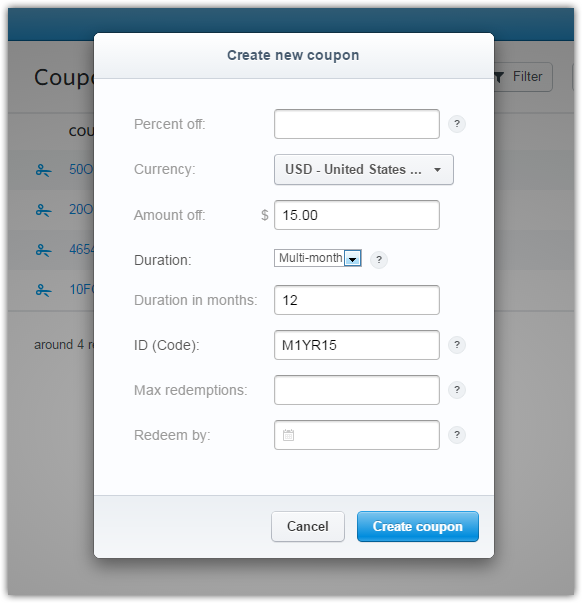 If you need a '$15.00 USD off for 12 months' coupon, I would like to suggest creating it via your Stripe account. 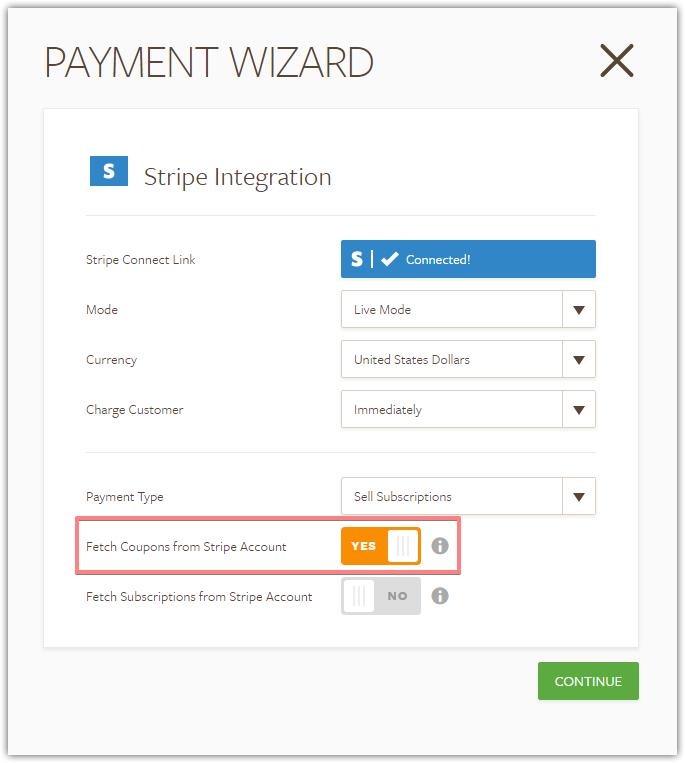 Then, enable the 'Fetch Coupons from Stripe Account' option in your Stripe integration.